When you practise yoga, your mindfulness comes as much from where you’re meditating as the discipline itself. 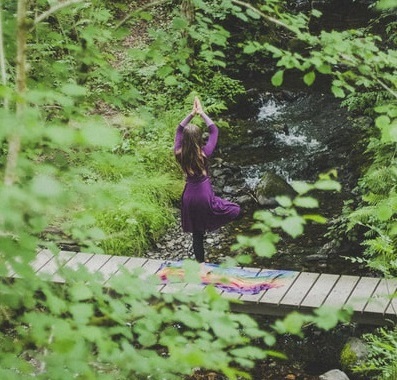 From north to south, we’ve selected the 6 best yoga retreats in the UK. As you’d expect, these are just about as far removed from the country’s hectic urban areas as possible! Argyll is a historic county in western Scotland which boasts one of the UK’s most quirky, unusual and peaceful yoga retreats. 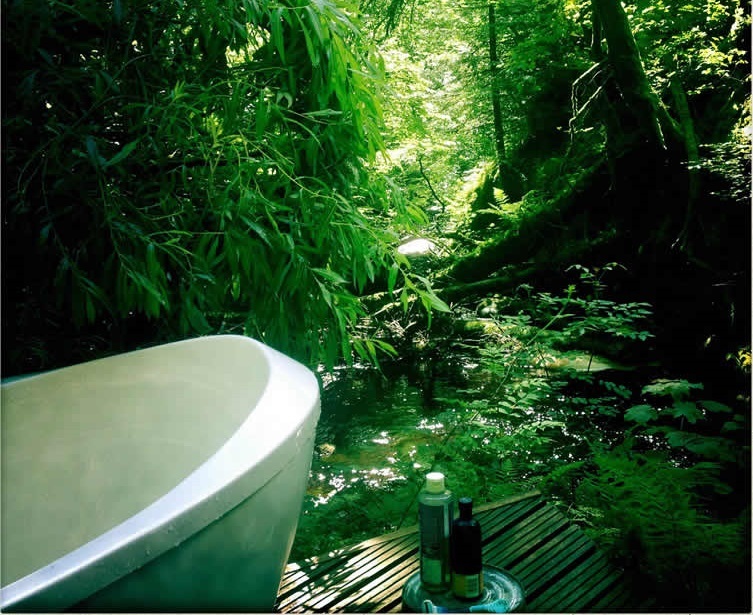 The ecoYoga Centre at Inverliever Lodge in the village of Ford epitomises tranquillity. It is nestled beneath magnificent hills, rivers and forests and offers a range of relaxing activities. Among its main attractions is its glazed studio which overlooks the gorge of the River Liever. Here, practitioners can learn the art of yoga from some of the world’s finest teachers. It also has a bathing area by a wild river, an underground sauna and a solar-powered hot tub to help you unwind between classes. Our next stop takes us south of the Anglo-Scottish border to the Lake District and the region’s stunning Sunny Brow Farm retreat. Set within the beautiful Lake District National Park in Cumbria, Sunny Brow Farm provides the perfect holistic holiday. 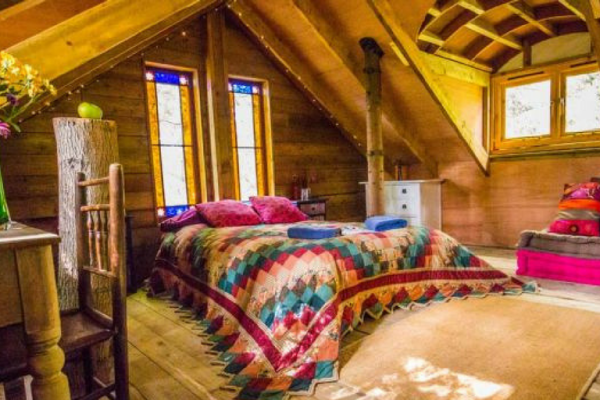 It provides a blend of Hatha, Vinyasa and Anusara yoga within its woodland and restored barns. Classes run throughout the year and can accommodate up to 12 people for a blended group experience. During your stay at Sunny Brow Farm, you can take scenic walks through Tarn Hows, Claife Heights and Latterbarrow. You can also enjoy some great cuisine at the Drunken Duck Inn and Restaurant in Barngates. Across the Yorkshire Dales from Sunny Brow Farm is the village of Bagby in North Yorkshire, which is home to Raw Horizons. Its title alone suggests you’re guaranteed an intense and powerful yoga experience, and the retreat itself reaffirms this. Raw Horizons is located within the grounds of Split Farthing Hall, an 18th-century countryside family home. Its packages include a two-night Yoga and Relaxation retreat involving Kundalini yoga, meditation and delicious raw food. However, we should point out that Raw Horizons is the UK’s leading female-only wellbeing retreats – so if you’re a man, you’ll have to look elsewhere if you want to practise yoga in North Yorkshire. If you’re based in or around London and fancy a mindful getaway, why not escape to rural Norfolk? 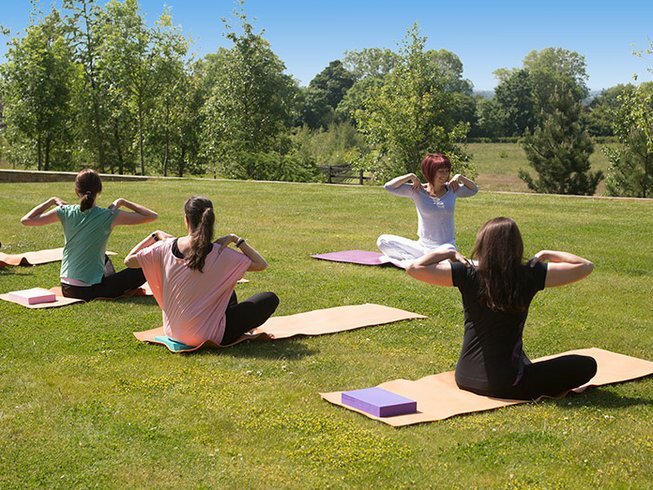 One of the county’s best-known yoga retreats is West Lexham Manor in Kings Lynn, which comprises 21 acres of gardens, woods, rivers and lakes. This retreat focusses mainly on meditation with gentle yoga classes, and its heritage buildings feature hand-crafted furniture creating an immersive visual experience. There are large yoga and workshop spaces in the centre’s barn and village hall, as well as treehouses, bell tents and manor houses in which to stay. There’s even an outdoor cob pizza oven – what’s not to love about that? We return west to Somerset, and next on our list is the 42 Acres retreat in Witham Friary. There are actually two 42 Acres centres (the other is in Shoreditch), but we’ve opted for the more serene rural setting. 42 Acres is packed full of breath-taking country views, and its title is, if anything, a modest depiction of its surroundings – seven hundred acres of ancient forest engulf its main house, which was originally built as a dairy farm in the 1800s. There are communal spaces aplenty at 42 Acres, including a dedicated meditation space and a brand new, purpose-built yoga room. If you’re planning on travelling in a group, 42 Acres can accommodate up to twenty-four people and its Group Room & Snug contains twenty-four meditation cushions. Last but most definitely not least is Devon, and we’re heading to the market town of Totnes. 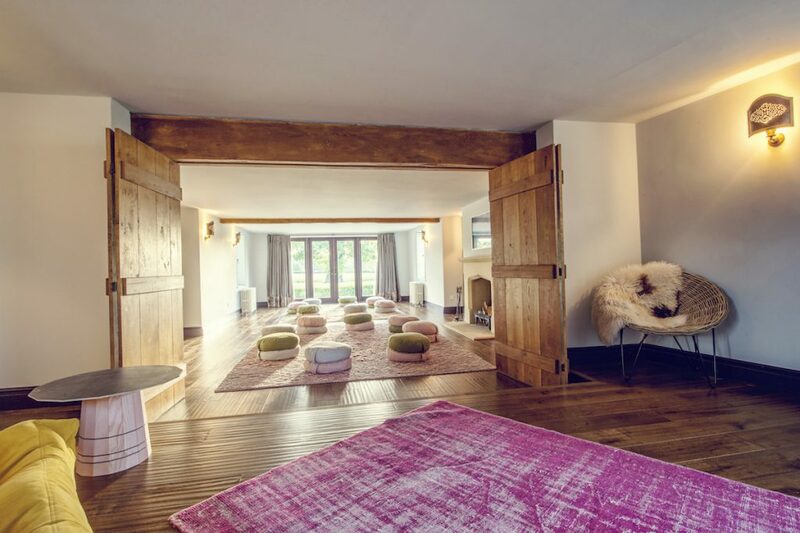 This is where the Sharpham Trust charity provides a variety of mindfulness, meditation and yoga retreats from its incredible meditation centre. The charity holds a three-night yoga break at a Palladian mansion situated above the River Dart, and its 550-acre estate allows visitors to reconnect with nature. Within its grounds, you can also enjoy a variety of meditation and mindfulness activities, from nature retreats in vast woodland to Buddhist retreats at The Barn. The Sharpham Trust’s meditation centre is an ideal destination for stressed-out city dwellers and takes up to 20 guests at any one time. Find out how our range of cover options can be tailored to suit you or get an instant online quote with us today.